Peering out of our window on the seventh floor, the house looked far smaller than it did from the street. 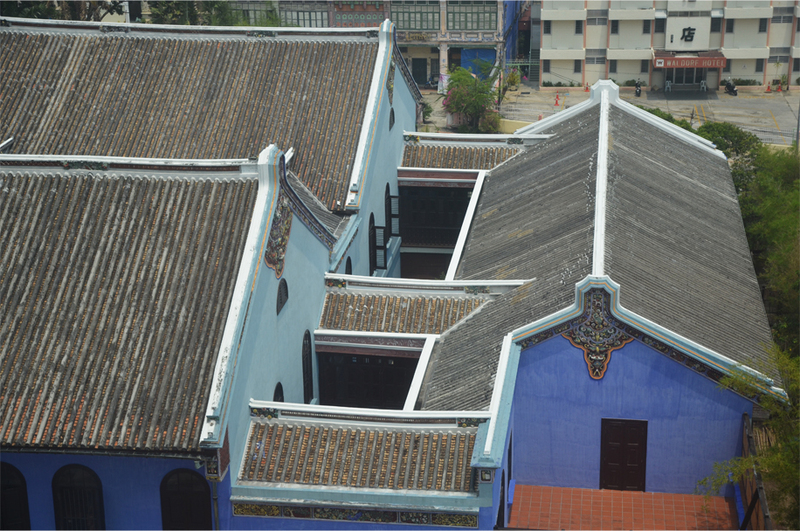 But its romantic window shutters, tiled roof and walls painted in indigo blue were still magnificent. Although The Blue Mansion was just behind our hotel, it took Bama and I four days of slow deliberation before we stepped inside for a guided tour. “The spirit of Cheong Fatt Tze has brought you and I here,” our guide smiles furtively, her eyes scanning the group. Dressed in a blue Peranakan kebaya, her face and voice are so expressive she instantly commands our attention. 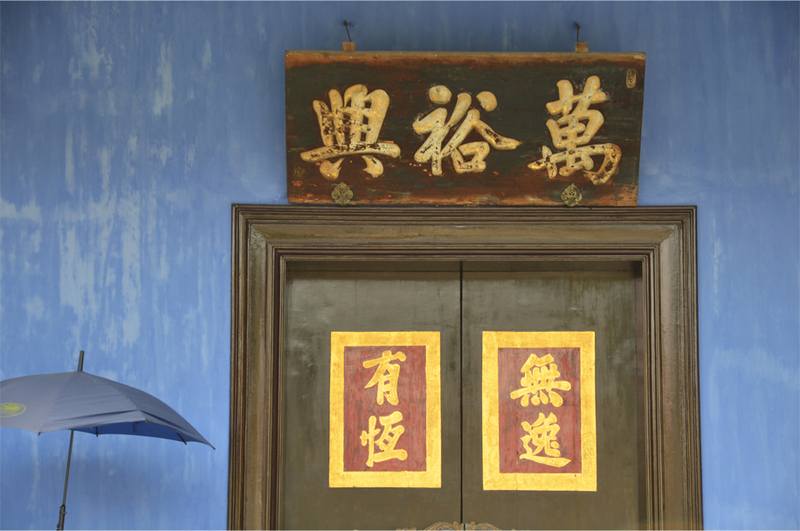 For anyone outside Penang, the name ‘Cheong Fatt Tze’ rarely rings a bell. But there was once a time when this Chinese industrialist, politician and philanthropist was as well-known as his western contemporaries. At the turn of the 20th century Cheong’s influence and business empire was so great that he was nicknamed ‘the Rockefeller of the East’. And when he eventually died in 1916, the Dutch and British authorities paid their respects by flying their flags at half mast throughout their Asian colonies. Cheong Fatt Tze was not raised in a world of privilege – he was the protagonist in a real-life rags to riches story. Born into an impoverished Hakka family in Guangdong, China, he left for Southeast Asia at the age of 16 without a penny to his name. The teenager disembarked in Batavia, capital of the Dutch East Indies (present-day Jakarta, Indonesia), where he started off as a common labourer and then a shopkeeper. Cheong found a mentor in his wealthy father-in-law, who taught him everything he needed to know about business. According to our guide, the Hakka have a reputation of being stubborn, humble and extremely hard workers; they do not boast of their achievements. Cheong, she says, had all these qualities. 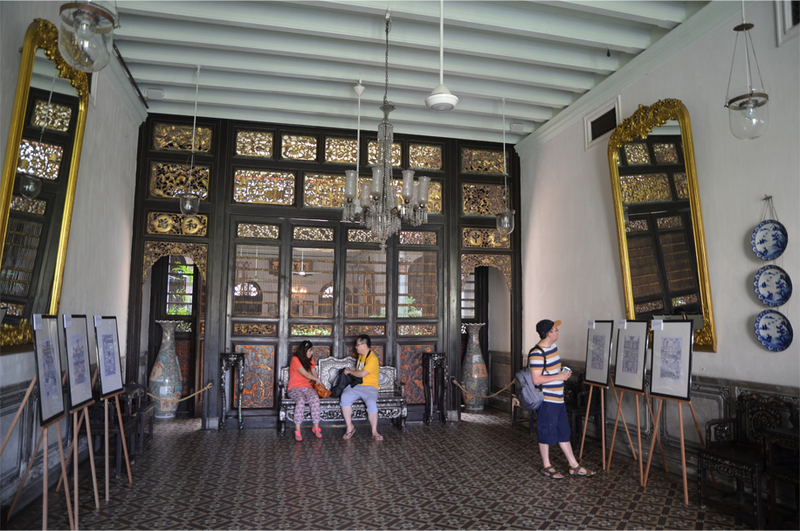 He persevered and expanded his trading business from Batavia to Medan and then Penang, where he worked solidly for eight years to gain the trust of the British authorities. The Qing Dynasty soon appointed him the Chinese consul for the Straits Settlements, and Cheong’s influence in his home country continued after the last emperor was overthrown. 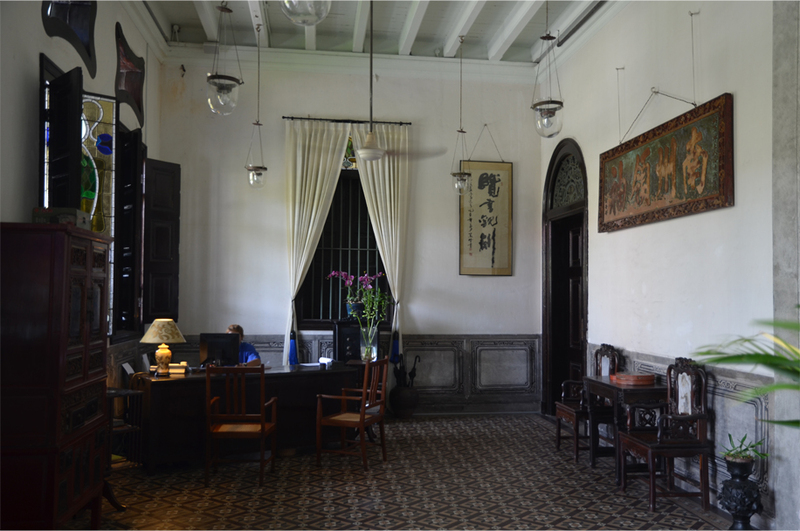 In spite of his successes, Cheong kept a low profile: our guide calls him “a shy tycoon”. For Cheong, marriage was as much a business contract as a personal relationship. His first six wives were carefully chosen to expand his growing trading network. But a strange, illogical condition came over him upon meeting wife number seven: true love. Cheong Fatt Tze was already 70 when he fell head over heels for Tan Tay Po, then a 17-year-old. At this point in the story, much of our group reacts in shock. “This is the only part of the tour that you will remember tomorrow,” the guide cheerfully says. 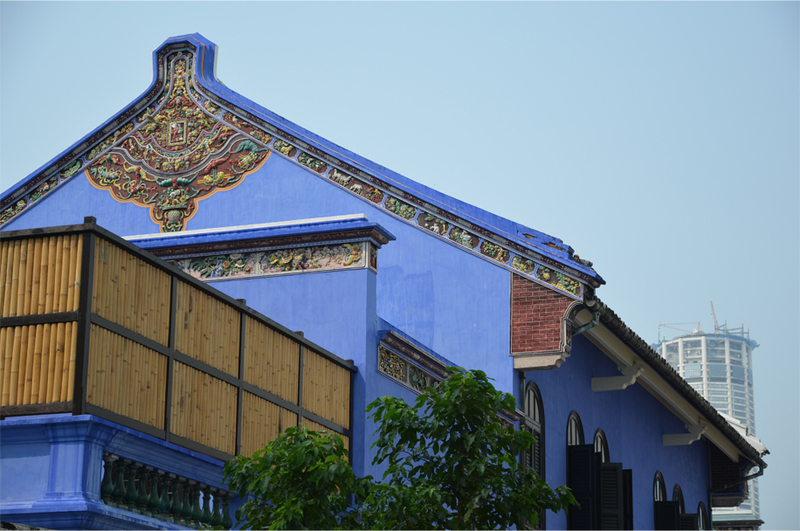 Though Cheong had houses all over Southeast Asia, Penang became his primary home. 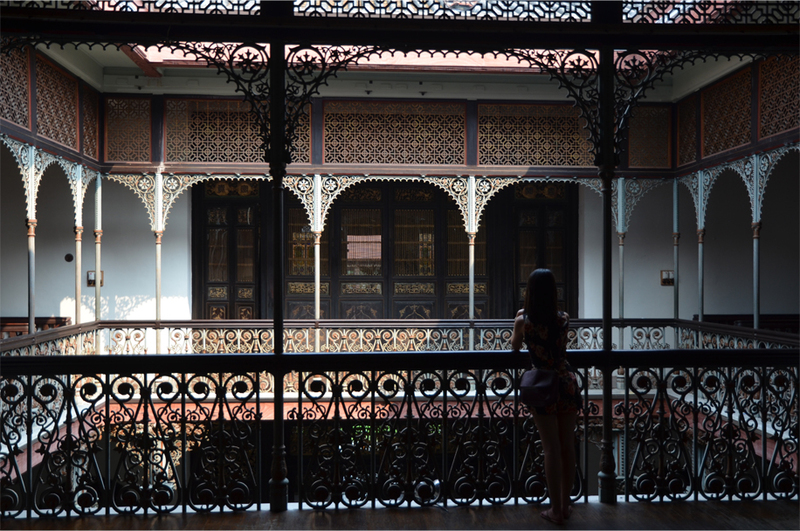 In the 1880s he started building a mansion on what locals nicknamed ‘Hakka Millionaires Row’. The new mansion had 38 rooms and 220 timber louver windows, 48 of them in Art Nouveau stained glass. 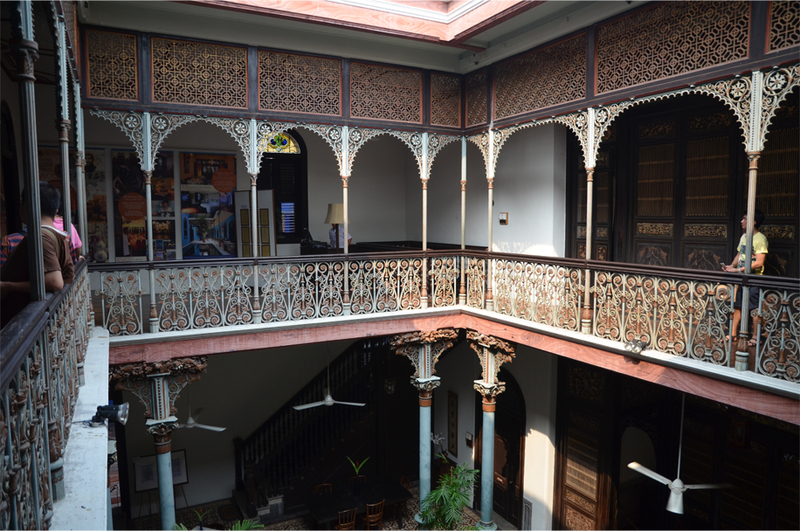 Inside, luxuriant patterns adorned the cast iron railings, pillars and spiral staircases – the latter shipped in from Scotland. 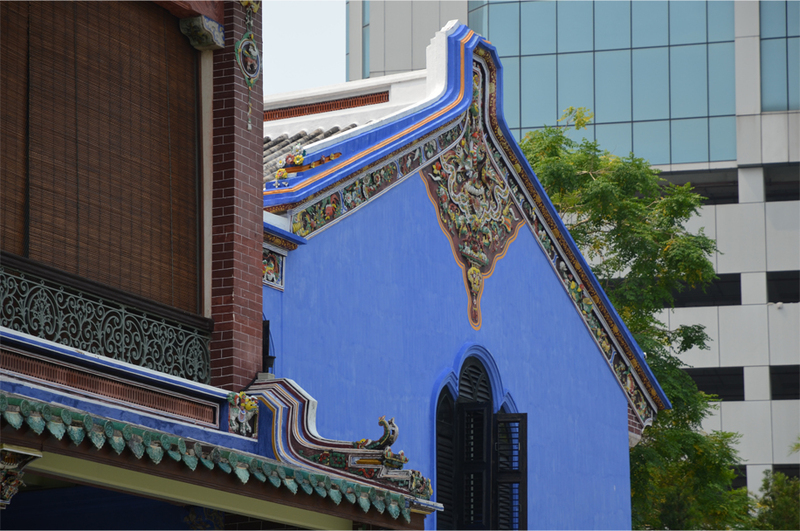 As for its walls, white was the most commonly available colour at the time, but because it is associated with death in Chinese culture, Cheong Fatt Tze had them painted a vivid shade of indigo blue. 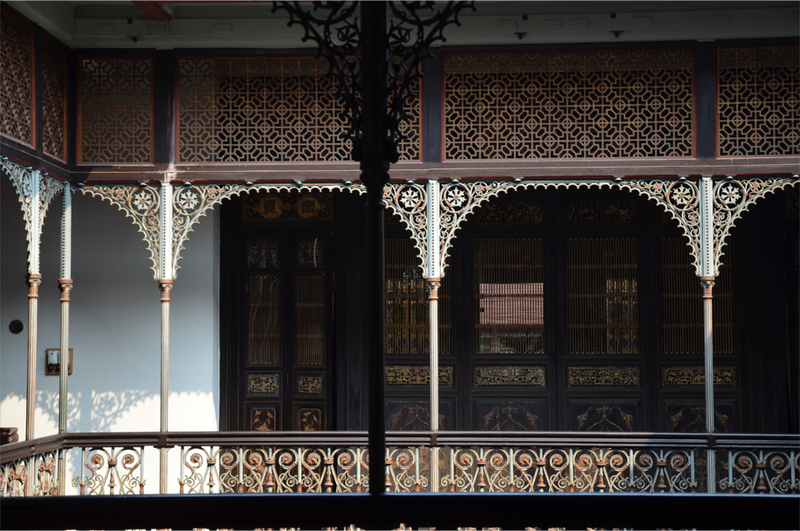 This house was reserved for his most beloved seventh wife, and today it is still said to be one of only two five-courtyard Chinese mansions outside of China (The other is in Medan, Indonesia, built by relative and business partner Tjong A Fie). Sadly, Cheong Fatt Tze’s business acumen was not passed down to the next generation. His vast trading empire unravelled upon his death in 1916, and his six sons sold off the portions they each inherited. 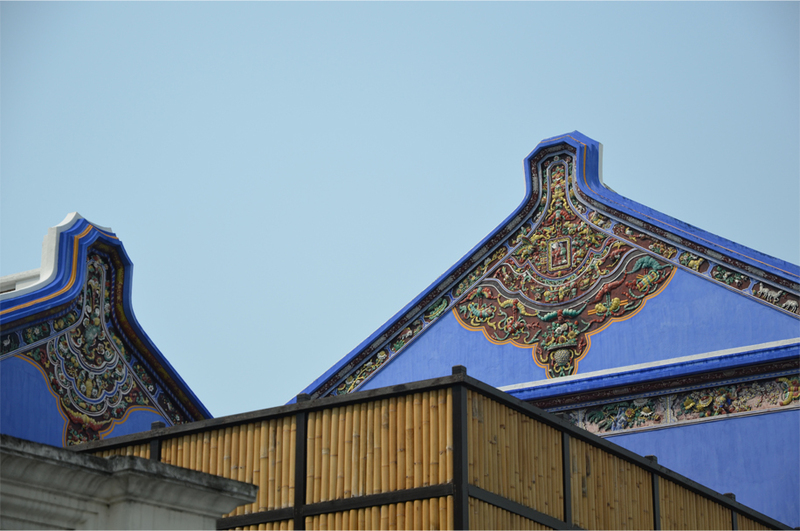 Only one of Cheong’s former companies kept its original name intact: the venerable Changyu, China’s largest and oldest winery, founded in 1892. And what of the house he built for his favourite wife? To safeguard her future, and that of his final son she bore when Cheong was 74, he wrote in his will that the mansion could not be sold until his son’s death. And so, in 1989, the 100-year-old house came on the market. By that time The Blue Mansion had lost its lustre. 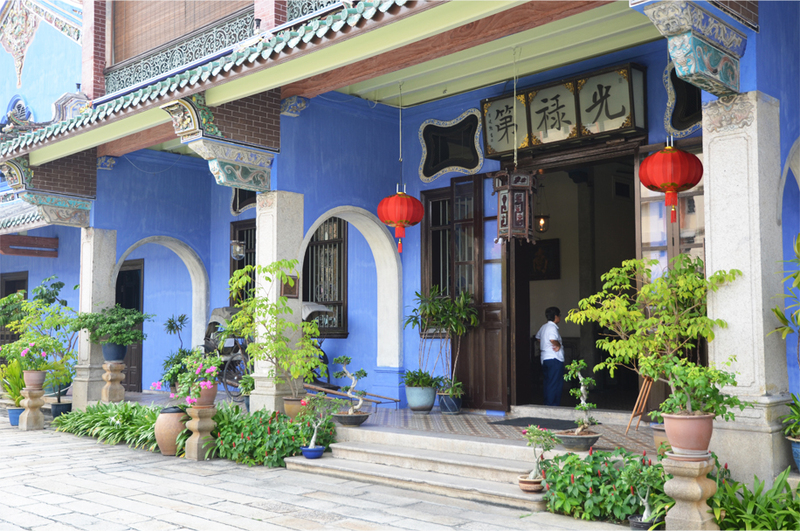 The once-glorious millionaire’s home was badly damaged, and sheltered not only the Cheong descendants but also a number of squatter families. 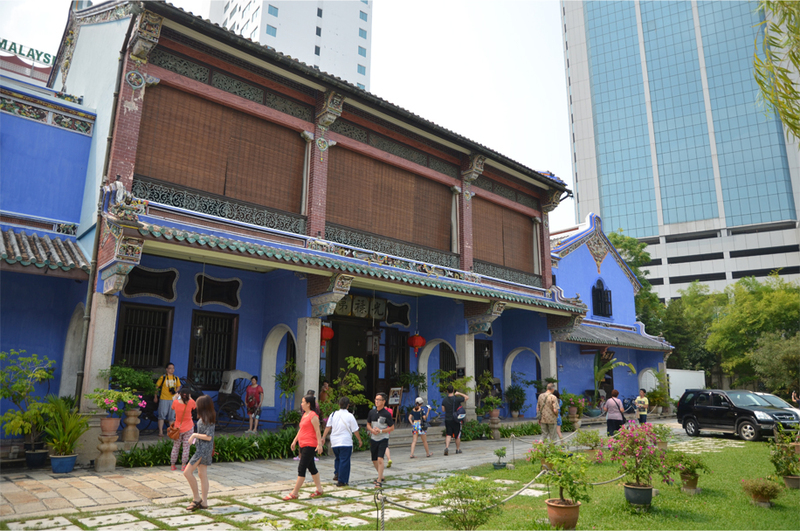 The new owners had the foresight to rescue both the mansion and the memory of Cheong Fatt Tze. 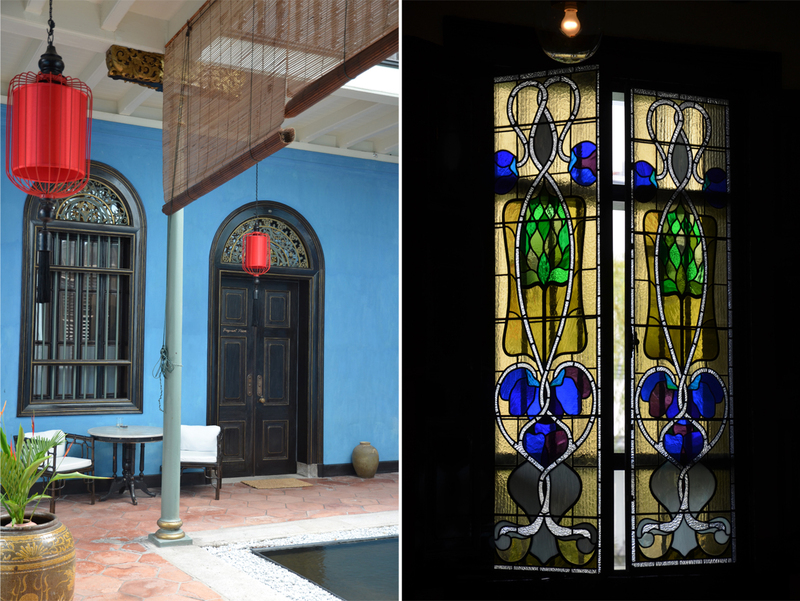 With the help of craftsmen brought in from China’s Fujian province, the house was painstakingly restored to its former glory. 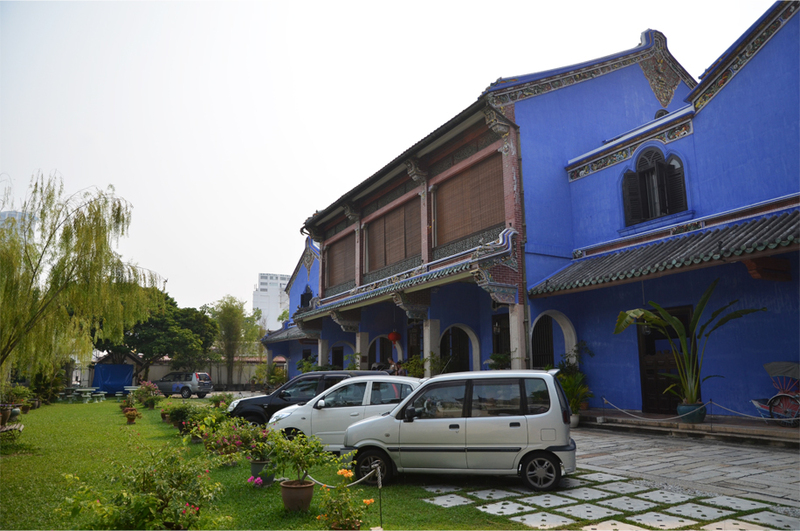 Soon the revived mansion became the setting for movies, starting with the 1993 Oscar-winning French film Indochine – a role which gave the house its popular moniker La Maison Bleu (The Blue Mansion). So cool! I’ve booked a room at the mansion and now that I’ve read your report, I’m so much looking forward to going there! Wow, it is quite the exclusive boutique hotel! I would have loved to stay there for the history, atmosphere and romantic charm. I’m sure you’ll enjoy your stay in Penang! Cool bit of history. Your guide is probably correct that I’ll only remember that Cheong Fatt Tze fell in love with a 17 year old. There was a collective gasp when she announced it – we couldn’t believe the age difference! Beautiful storytelling James, of a wonderful place. What a beauty she is. Thank you, Alison. We were hesitant to visit the mansion at first, but now I am so glad we did. Unfortunately, I had no chance to visit this beautiful mansion while I was in Georgetown last year. 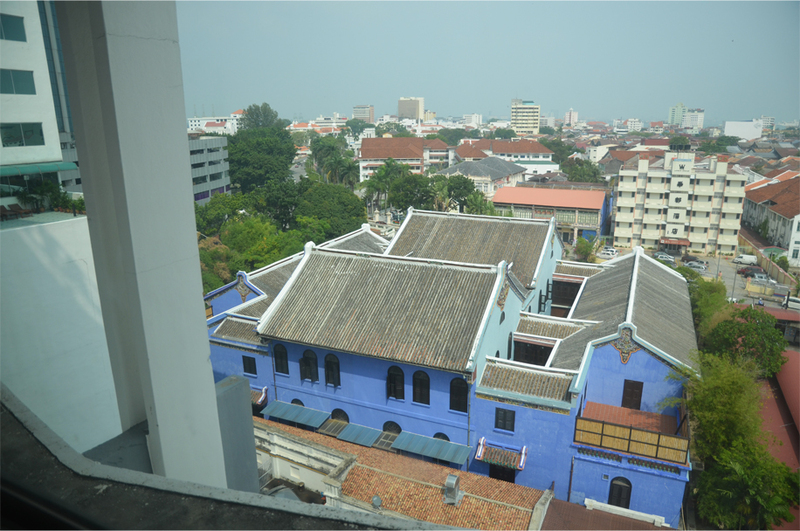 I hope someday I can visit Georgetown again, and this indigo mansion off course. The mansion was far more beautiful and delicate than the concrete and steel boxes that tower above it… you can just tell it was built with a lot of care and attention. Fabulous story, gorgeous photos… so delighted could vicariously glimpse though your eyes and words! Thank you, Carissa. George Town is full of these kinds of places – you should go if you haven’t already been! Thank goodness this fascinating building was saved – thanks for the tour. I’m glad you enjoyed this post. Had it been sold to a developer back in 1989, I am pretty sure the mansion would no longer exist. 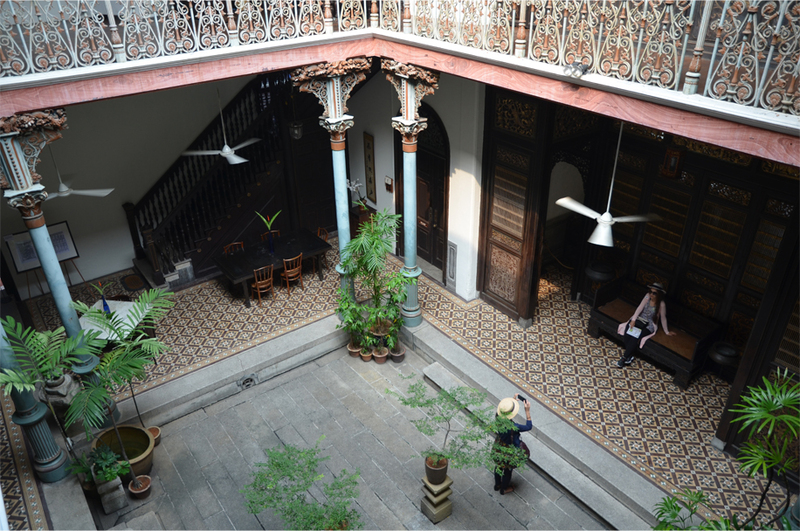 Great story, and I love the photos of the roof and courtyards! This sounds like a bizarre mental leap, but I just visited Frida Kahlo’s Casa Azul (blue house) in Mexico City, and I don’t think I’d ever seen a bright blue house like hers before and now here is another! I would not have said I’d love a blue house, but both make such a sharp impression! That’s not bizarre at all! You’ve got me intrigued about Frida Kahlo’s house… it just adds to the fact that Mexico is very high up on my travel wish list. And yes there is something sublime about the vibrant blue colour of both – surely it had a positive effect on the moods of the occupants! Very nicely done, James. Love the photos. Love the blue. Love the house. This guy any relation to Lao Ts…oh, wait…no, it’s Tsu, not Tse. Chinese messes with your brain. Thank you so much, Badfish. Ha, no worries… Cheong is the surname in this case. I guess it is confusing in Chinese with the first names going at the end! So what happened to the 7th wife and her son? She must have recently died or something like that. The beloved 7th wife died about 20 years after her husband, at the young age of 42. Her son ended up squandering his father’s wealth and passed away in 1989. Terrific story. Nice photos, too. Thanks! These were awesome stories and the picture are spectacular. It is interesting that the children sold off all of the parts and assets left of their father. I guess if my dad were to pass away I would want to keep some stuff close to me and especially something as beautiful as this place. Interesting pieces of information. It would be a wonderful tour to experience and see the detail of aging and history! Thank you for the comment! I find it hard to believe that the children could squander their father’s hard-earned wealth – maybe they were so used to living in easy comfort that none of them had the drive to work hard. What a waste… I can only imagine the damage they caused to others because of their alcoholism and gambling. It is amazing to hear from a reader with a family connection to Cheong Fatt Tze – thank you for sharing this deeply personal anecdote. It must be such a romantic boutique hotel, Madhu. 🙂 For the sake of its guests, I hope the rooms have good soundproofing because the performances at the hawker centre next door can be pretty loud!